Rated 4/5 based on 21 reviews. Rising above over 6000 wines from 40 countries, the 2008 Don David Tannat from Michel Torino was awarded the trophy for best red and the accolade of "Best Red Wine in the World". 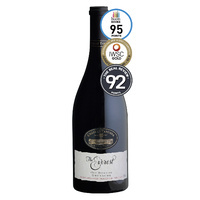 This latest vintage has just won Gold at the Mondial des Vins in Canada. Native to the small Madiran appellation in south west France, the Tannat grape makes full-blooded, age-worthy red wines in the high altitude vineyards of Argentina. Don David Reserve Tannat 2013 is made from hand-picked grapes, and is aged in French and American oak barrels for 12 months. The Don David Reserve Tannat has firm tannins and great full of character. This wine is a fantastic representation of the terroir to be found in Cafayete. 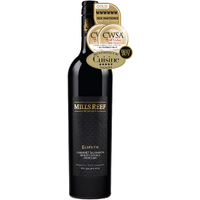 The palate shows lots of dark chocolate and smooth flavours with a firm, pleasant finish. This variety is very much sought after for it's high level of resveratrol and associated possible health benefits. It is not normally readily available in New Zealand! Great wine really enjoying it!!! Mmmm. No wonder Winesale likes Argentinian wines if this is an example. 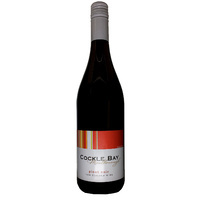 I would rate this below the Hawkes Bay reds and well behind the Aussie Shiraz. I think the "Best red wine in the world" referred to the colour, which was warm deep and gorgeous. We shared a bottle with our neighbours and unfortunately it got the thumbs down all round. Maybe it will improve with a couple more years in the cellar. We opened this along with the Altimus (also from Michel Torino, also from Winesale). I've never had Tannat as a varietal, so this was totally new to me. However, the descriptions I found of it left me thinking it would be similar to Petite Sirah (Durif). The color was not disappointing - deep inky purple you couldn't read through. Plums and toasty almonds on the nose, nice ripe blackberries and plums on the taste. Long, lingering finish with some acid. The surprise is that the tannins were quite fine - just enough to give structure without being shocking. I can see the appeal of this very approachable wine; however, we found it quite simple and uninteresting when compared with the Altimus. Of course, the pricing reflects this as well... Overall enjoyable wine and worth checking out - we had it with steaks off the grill and it worked well. First Tannat I have tried, and my expectations were up given its recent accolade of "World's Best Red Wine". Overall an interesting wine, but not a home run for me. I certainly wouldn't vote this the best red I have tried this year and I suspect judging panel was won over by the novelty factor this wine possesses (how many Tannats have you had versus, say Shiraz or Cabernet based wines?). Intense colour, solid tannins, but fruit a bit too subdued for my taste. Should get better with a few years of bottle age. Nonetheless, well worth a try and great conversation starter with family and friends. Firstly, can I say this is a really nice wine. Calling it the best red wine in the world is bound to end in disappointment though! I don't know what I expected from the "Best Red Wine in the World", but this is an inoffensive all-round red that didn't quite rock my world as much as I hoped. Don't get me wrong, it's a good wine and a fantastic price. Maybe needs a bit longer in the bottle. And a steak to go with. At this price, it is worth buying just for the discussion value of being the Best Red Wine in the World. A lovely red wine and great value for money. I'm not familiar with Tannat as a grape varity or Don David as a vineyard, but I can see how this wine would appeal to a wide range of people who enjoy classic reds. Great color and palate weight, plenty of tannin for character and depth, but the fruit is not out-weighed. Perhaps it won the top award by appealing to the entire judging panel? When a wine is proclaimed the ‘best red wine in the world’ you’re obviously dealing with something at the serious end of the spectrum. Whilst I didn’t have the joy of sampling 6000+ wines to make my own conclusion, I thought this was a good value wine. Violet colour, bit fruity and tannin action at the end… some might suggest cellaring it for a few years to soften the tannins, but I’d crack at least one of them open now to avoid the suspense. I would recommend to others as a quality wine for friends to debate its ‘best red’ status. Michel Torino Don David Tannat Reserve 2008 An opaque purple-black with a brighter, narrow purple rim, and shiny. A sweetly floral nose, blackberry and faintly volatile with hints of sultana and tutti fruity. A concentrated palate with coal-dust, powdery tannins. 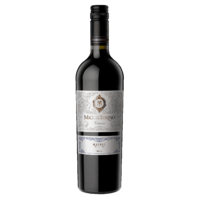 A big, mouth-filling wine with blackberry bush and tarry notes, powerful but not closed, and a long finish showing refreshing blackberry acidity and coolness presumably due to its high-altitude origins. This acidity helped cut the weight and power of the wine, preventing it from becoming over-heavy, keeping the fruit from straying into the jammy spectrum and leaving the finish clean, with no alcoholic heat. Later the wine gained faint cedary notes from the oak. A delightful wine. Exceptionally good value, healthy too as tannat is good for the heart. Differen't and delicious. Well worth trying. Dark purple colours and fruit flavours and smells. I can see why this would get voted worlds best Red. Not the Worlds best Red in my books, but a VERY good all rounder which most people will enjoy. Nice smooth wine with long finish. This wine is great value for money! Argentinian reds are the stronguest assets in Argentina's wine production and is very well accepted by locals. 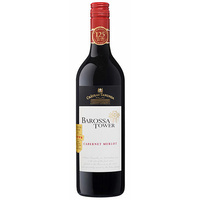 This wine is smooth and robust with hints of mellow wooden flavours. 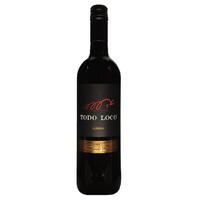 It's very drinkable and its perfect to go with ''asado''(argentinian BBQ). The chargrilled flavours of a two inch steak accompanied by this wine will make you feel in the land of pampas straightaway! This wine makes a great corporate gift...you wont be dissapointted. Try other Michel Torino Estate wines, they are really good.